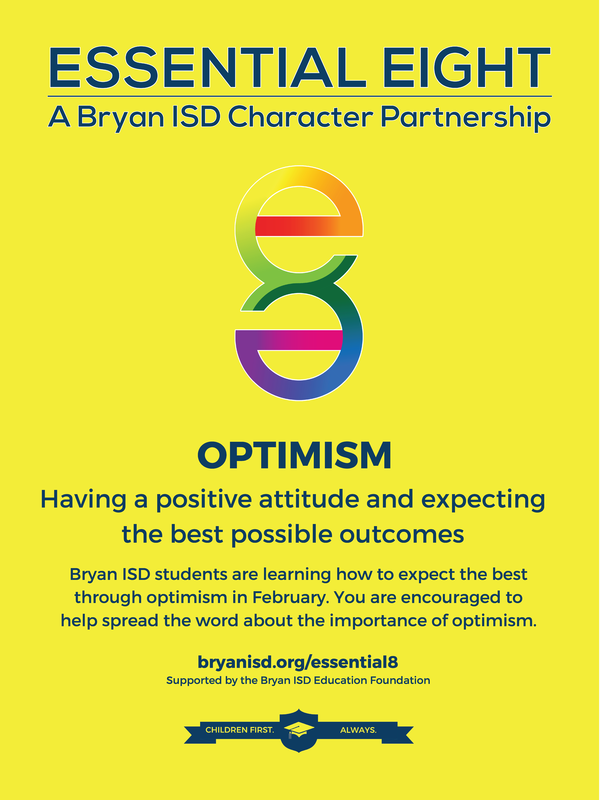 Bryan ISD students are learning how to expect the best through optimism in February. You are encouraged to help spread the word about the importance of optimism. Want to Get Involved? Email info@bryanisd.org or call 979-209-1020 to learn how your organization can model the Essential Eight in our community.